LG's latest android wear smart watch is offical and according to LG "The G Watch R is the world’s first watch-style wearable device to feature a circular Plastic OLED (P-OLED) display which utilizes 100 percent of its watch face." The device packs a 1.3 inches Plastic OLED display covering 100% of the watch's circular face which is powered by a 1.2GHz Snapdragon processor, 512MB of RAM and 4GB of internal storage. The G Watch R has a heart-rate monitor and a handful of health and fitness apps that should make the G Watch R a little more useful as a fitness tracker. SEOUL, Aug. 28, 2014 — Following the June release of one of the first-to-market wearable device powered by Android Wear™, LG Electronics (LG) is quickly expanding its wearable product offerings with the unveiling a new Android Wear device — the LG G Watch R at IFA 2014 in Berlin next week. 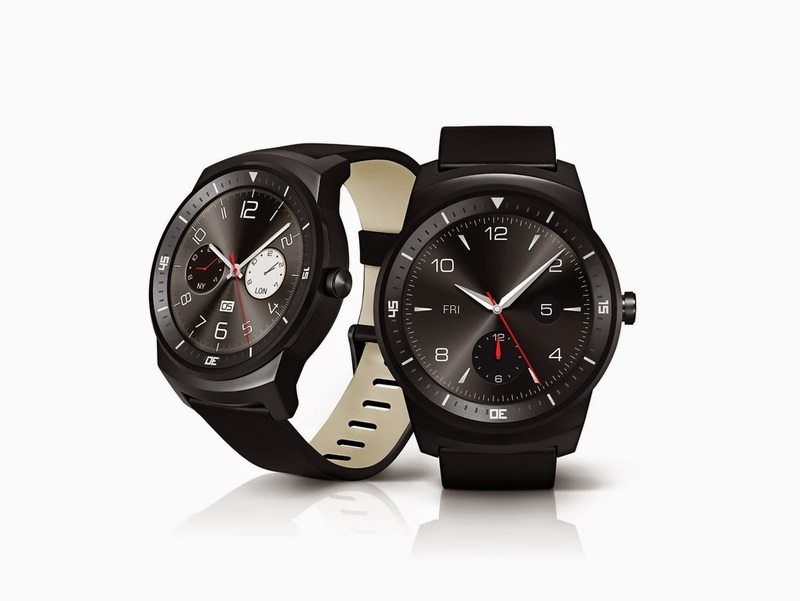 The LG G Watch R is the world’s first watch-style wearable device to feature a circular Plastic OLED (P-OLED) display and utilizes 100 percent of its watch face. The most eye-catching feature of the LG G Watch R is its 1.3-inch full circle P-OLED display that produces stunning image clarity even under bright sunlight and superb clarity when viewed from any angle. Powered by a powerful 1.2GHz Snapdragon 400 processor, the LG G Watch R offers 4GB of storage, 512MB of RAM and a durable 410mAh battery. This Android Wear device will effortlessly run all compatible apps available in the Google Play Store and with an Ingress Protection Rating of IP67, the LG G Watch R is designed to run for up to 30 minutes in one meter of water. With Android Wear™ at its core, the LG G Watch R delivers essential and relevant information exactly at the right time and place through voice recognition notifications. With a suite of LG health and fitness apps, users can also monitor their heartbeats with the support of the embedded photoplethysmograpgy (PPG) sensor. And the smart notifications provide users with important reminders of missed calls and messages, upcoming meetings, events, and local weather forecasts. 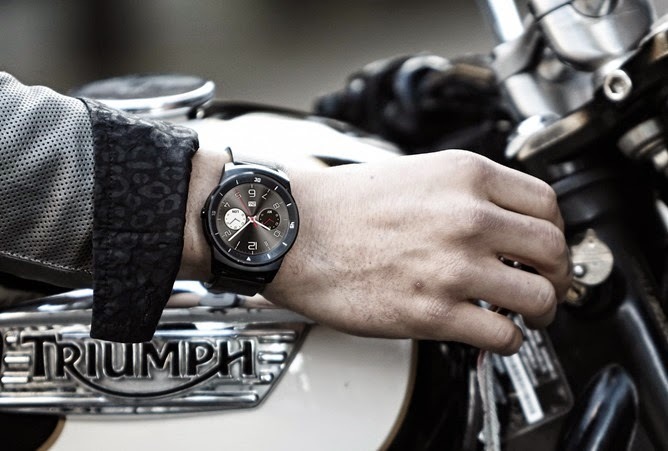 With an artisanal elegance, the LG G Watch R boasts a refined aesthetic that is reminiscent of traditional timepieces. Replete with a circular watch face, this elegantly crafted Android wearable has classic curves encased in a strong, durable stainless steel frame and carries a suite of watch faces that are accessible with a simple touch of the display. Its interchangeable 22mm calf skin leather strap also complements its overall aesthetic, giving it an air of modern prestige. The LG G Watch R will be available in key markets early in the fourth quarter of 2014. Prices and details of availability will be announced locally at the time of launch. Visitors to IFA can see LG G Watch R up close in Hall 11.2 of Messe Berlin from September 5-10.